Product design, by definition, is the process of creating a new product to be sold by a business to its customers. The process includes the set of strategic and tactical activities, from idea generation all the way through to the commercialization of the product and each step in between. Product designers must conceptualize and evaluate ideas and then turn them into tangible inventions and products. Simply put, a product designer’s job is to create a product that functions correctly. From the identification of a problem to putting a finished product on the shelf, product designers are involved in every single step in order to ensure the functionality of the finalized product. Because a large part of product design is the implementation phase where the prototypes are built, it is no surprise that Computer Automated Design (CAD) goes hand in hand with product design. However, before we discuss how CAD has revolutionized the design world, we must first examine what product design looked like before CAD was available. Product design first began during the Industrial Revolution in the late 1700s. At this time, mass production was not available yet, making it nearly impossible to create duplicates of objects. Up until the mid-1800s, product designers were required to hand craft all products. In the mid-1800s, Michael Thonet created the No. 14 chair which revolutionized product design as it was known then. 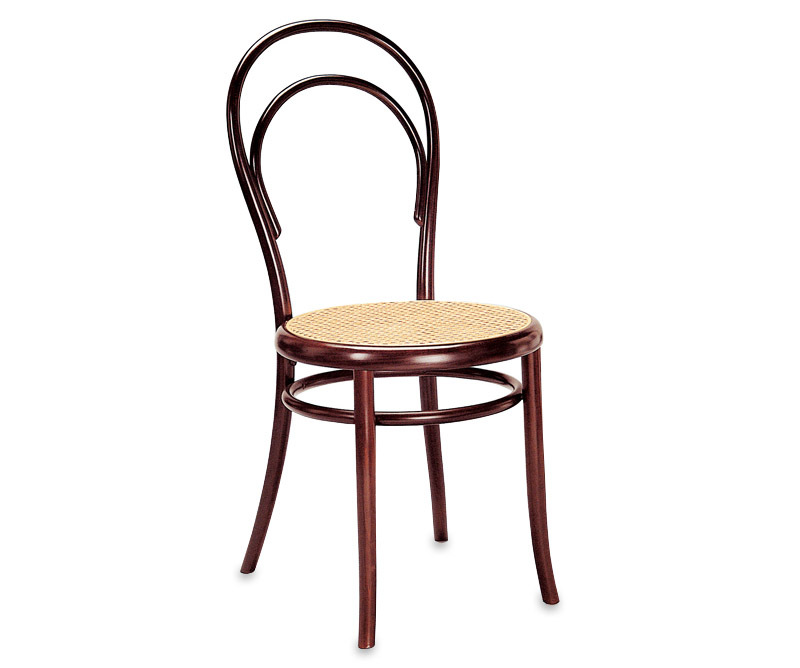 Over 50 million of these chairs were sold, making it the famous “bistro chair”. The chair even went on to win a gold medal at the 1867 World Exposition in Paris. Alongside mass production came the creation of a consumer economy. Products were now able to be produced on a larger scale, which, in turn, lowered the cost of these products and also allowed for sleeker and better products to be designed. After this came the infamous assembly line created by Henry Ford to help mass produce the Ford Model T. Now that people had a method for producing large amounts of products in a quick and relatively cheap manner, product designers started to look for ways to improve the product design process even more. During World War II, technological developments increased rapidly. In 1957, Patrick Hanratty, “the father of CAD” developed PRONTO (Program for Numeric Tooling Operations), which was the first CNC programming system. According to industry analysts, 70% of all 3D CAD systems can be traced back to the original code of Hanratty. A few years later, in 1963, Ivan Sutherland developed Sketchpad. Although this program seems primitive in today’s society, the program was highly complex for its time. Although Sketchpad was never released to the public, it did pave the way for the CAD software we see today. In the 1970s, we see designers begin the transition from 2D to 3D design. The program, NURBS, formed the basis for the modern 3D curve and surface modeling. During this time period, people were working hard to create a 3D modeling program and one of the first to be released to the public was CATIA (Computer-Aided Three Dimensional Design). This software helped to bring engineers into the world of 3D modeling. A few years after the release of CATIA, the CAD revolution began. In 1987, the first 3D-based CAD software, Pro/ENGINEER, was released. This program allowed for engineers to set clear parameters, features and relationships, which revolutionized the way that engineers could design products. The only drawback to Pro/ENGINEERING was the lack of capability to run on a PC, making it inaccessible to a large amount of people. However, nearly a decade later, in 1995, the first 3D modeler for Windows, SolidWorks, was released across the globe to designers. Although the software was quite pricey, this allowed for more people to have access to a 3D CAD program and greatly increased designers’ capabilities. Since the release of SolidWorks, there have been a variety of different CAD software created to help product designers and industrial designers create 3D renderings of their products inside of their computer. 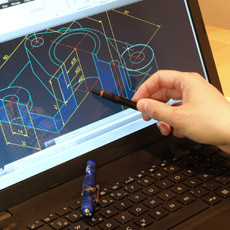 Today we see CAD available all over the place and some software companies even offer CAD programs that are available online through the cloud. The increase in availability and accessibility of CAD programs has greatly shaped the way that product designers today do their job. Since the creation of CAD, product designers are now able to create 3D solid models and perform analysis on their virtual creation without the need to first create a physical prototype. CAD has given designers the power to create better products in a fraction of the time. With CAD, designers are able to produce products in 3D with extreme accuracy and measurements and the power to revise and remake their product in the middle of the design process. The capability to test how their object will respond to heat, pressure, physical stress and numerous other conditions also allows for designers to create production-ready designs. 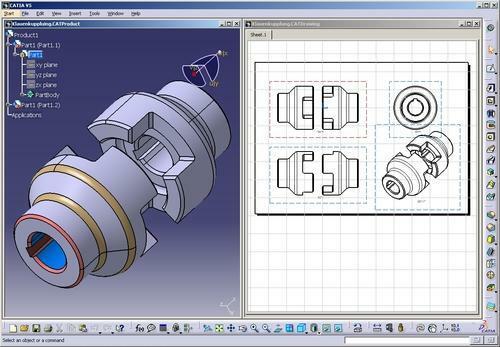 With the creation of 3D CAD, all steps of product design can now be done in the same place. Each step from idea generation through a completed product can now be done in the same place in a simple and effective way. CAD has truly shaped the world not only for those who use it, but for everybody. Everyday we come in contact with products and objects that without CAD would not exist. CAD has not only revolutionized the lives of designers and engineers, but it has also revolutionized the way that every person goes about their life on a day to day basis. If you or someone you know wishes to use CAD to make an impact on the world around us, check out a complete list of our CAD course offerings here in a variety of programs like Creo, SolidWorks, Rhino, Alias, Maya and more! Here are 5 of the Coolest Products on the Internet!